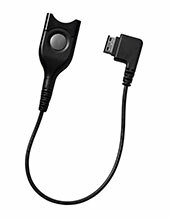 The Jabra SPEAK 810 MS Speakerphone is an intuitive device usually connected and seamlessly integrated with popular communication platforms. With how the device is designed, it can fit in all types of rooms and locations, from small meeting rooms to gigantic conference rooms. This makes it excellent for meetings and conference calls. Jabra SPEAK 810 MS Speakerphone is also excellently convenient, with the plug-and-play settings. If you are interested, find out more about this speakerphone by calling Australia wide 1300 131 133 today! 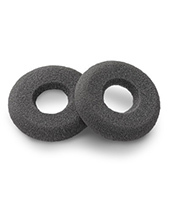 Jabra Corporation is a GN Netcom subsidiary that started out as part of the Norcom Electronics Corporation in the year 1983, which is a Utah company that was founded by inventor and entrepreneur Elwood Norris. Currently headquartered in Copenhagen, Denmark, the company has become the epitome of excellent sound quality in the international market, capturing the attention of more than just the contact centre industry. Jabra aims to be able to engineer sound that could cater to the specific needs of everyone. The company’s goal is to improve people’s lives and be able to provide them with better sound experience that could help them in their everyday lives. Technologies like HD voice technologies and noise cancellation technology help contact centres and other offices and professional environments to promote better and improved quality of calls. This can help improve users’ call handling and management skills, which can in the process, improve the company’s operations and results. 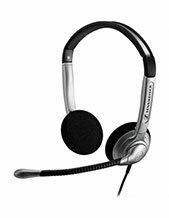 Headsetsonline is an online store that operates through a secured and enterprise-encrypted site: Headsetsonline.com.au. The company ensures that customers are able to safely and securely shop through the store by using encryptions normally used by banks for their log-ins. The site has 2048-bit root encryption, 256-bit identity authentication, GeoTrust True Business ID with extended validation, and a green URL address bar HTTPS. With a secured site like this, customers can feel safe while completing their shopping from the online store. Headsetsonline promises more than just security and convenience of an online store but also excellent quality in products and services. Since the company chose Australia-owned and –operated distributors, not grey imports, it is able to be assured that all products offered have been certified to Australian standards. They are also guaranteed to be packaged with warranties that can be covered Australia-wide, and so can benefit all customers, wherever they are in the country.